This is downright refreshing, even revolutionary. Change is impossible without accepting responsibility. The kneejerk reaction to blame others (even where justifiable) is a recipe for misery. It takes strength of character to acknowledge one’s failings and move onto the hard business of fixing oneself, first and foremost, instead of giving that power to others by blaming them. Kudos to Mr. Eid. Now, if only the rest of the Middle East felt that way…. Here she has hit the proverbial nail on the head: Islamists do not hate, persecute or murder Jews because of anything apologists and politicians imagine, such as alleged economic inequality or territorial disputes. They do so because of their ideology. Similar to the Nazi ideology, Islamism turns Jews into an evil, cosmic, supernatural force to be opposed at all costs. Hundreds of stabbings of Jewish Israelis by young Palestinian Arabs over the past year are, at their root, natural outgrowths of the raw anti-Semitism spewed daily from places like the Voice of Palestine Radio teaching school children that killing Jews and dying in the process is a sacred duty. Many of the assailants (like Muslim terrorists in general) were financially well-off. It was ideology that drove their behavior. “Is it any surprise that after decades of indoctrination in a culture of hate that people actually do hate?” Nonie Darwish, who was raised as a Muslim in the Gaza Strip, said of her birth-culture. Sadly, thanks to what Dr. Ahmed calls an “incredibly ignorant marriage of Left and Islamism,” presidents and pundits alike perpetuate the dysfunctional attitudes that plague the Middle East and which are exported to the West. They need to diagnose the problem soberly, which begins by having no illusions about the central role ideology plays in Islamist terror. Be that as it may, we can only control what we can, which means living by our faith, growing our communities and continuing to serve as conduits for the “cosmic” good. This entry was posted in Jewish Thought, Zman Magazine and tagged anti-Semitism, bassem eid, Holocaust, islamist, islamist terror, knife intefada, Nazi, nazi ideology, palestinian authority, Palestinian terror, Palestinian terrorist, quanta ahmed, stabbing intefada, voice of palestine radio. "I had 3 million Jews in my hands and they were torn away." Striking It Rich… In The Catskills? You’ve heard of Texas oil magnates. Now, allow us to introduce you to… Catskill gas magnates. Yes, you’ve heard right. Beneath the soil of our beloved Catskill Mountains, the yearly summer refuge for thousands of Jewish vacationers, lies a hidden treasure – a large reservoir of natural gas that can possibly spawn a new generation of Jewish tycoons and Torah philanthropists. How will this affect the myriad religious summer camps and bungalow colonies across the Catskills? In 1982, a coldblooded murderer slipped cyanide into bottles of Tylenol, resulting in seven deaths. The entire nation was thrown into a panic that nearly spelled the end for Tylenol and many other medicines — and spawned “copycat” incidents that killed more. After 29 years with no convictions, is the FBI at last “On the Trail of the Tylenol Terrorist”? On May 21, 2011, the world almost stopped – well, not really. However, that was the day the world was supposed to stop according to a famous American Christian preacher. Of course, May 21 came and went, and so did the millions of dollars his supporters had donated to advertise the end of the world. In the year 1524, millions of people were also convinced that the world was about to come to an end. Read about the Great Panic of 1524 and other strange panics that teach us more about human psychology than the apocalypse. While America and her allies deserve great credit for ending the hellish reign of the Nazis, and thus playing a crucial role in the survival of the remnant of European Jews, they failed to act and even at times prevented actions that could have saved countless Jewish lives! Shockingly, it was one of America’s most beloved presidents, Franklin D. Roosevelt, who was responsible for bureaucracy and decisions that resulted in countless preventable deaths. Even more shockingly, he did so with the full backing and even the proactive involvement of some of America’s most prominent Jewish “leaders”! 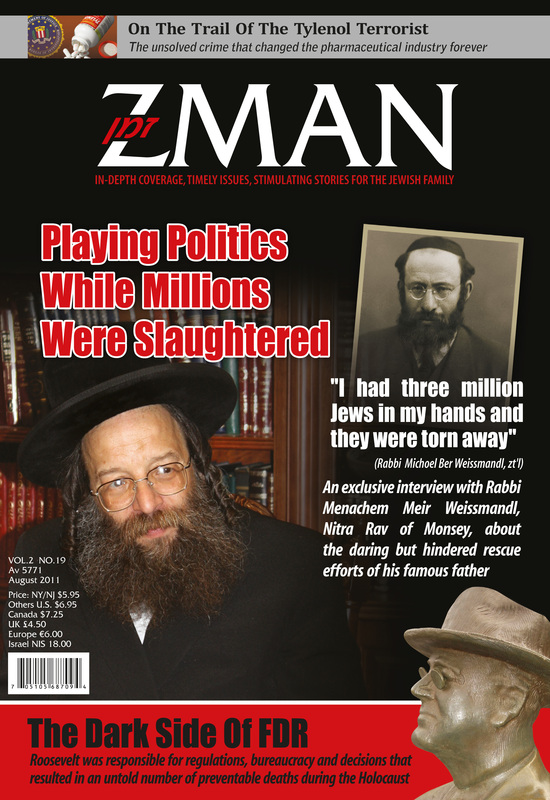 Already a legend in his lifetime, Rabbi Michoel Ber Weissmandl rose to even greater heights when the circumstances of the Holocaust forced him into the role of rescue worker. 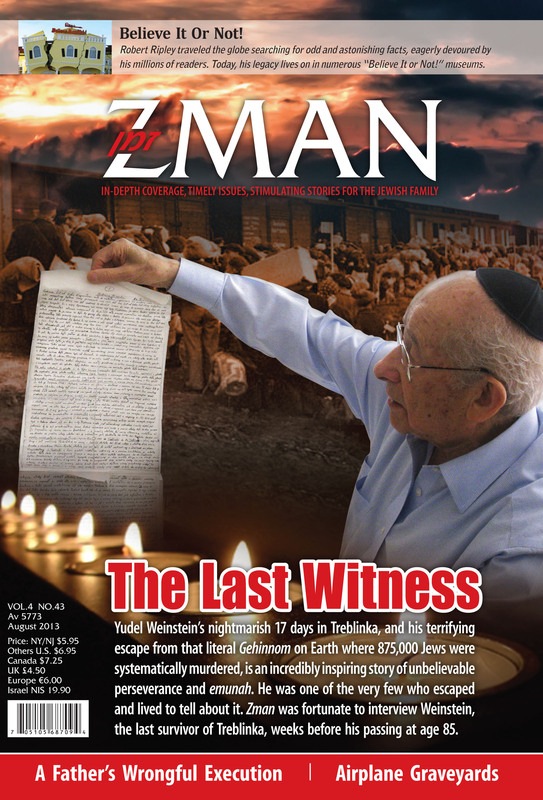 Often maligned by the secular world, efforts to refute his claims and minimize his efforts have been disproven time and again.Zman had the privilege of an exclusive interview with one of Reb Michoel Ber’s sons, who undertook to uphold his father’s legacy, defending him against those who sought to diminish the undeniable influence of his fiery father in the field of wartime rescue. They are not your typical state police traversing the highways for speeding drivers. Rather they are a division of the police that do their work from 1,500 feet or higher. Find out what a day in the life of an airborne Ohio traffic cop is like, how they work and what the type of driver behavior they are looking for that will trigger a ticket. When Columbus sailed from Spain in search of spices and gold, he hardly expected that among his most treasured finds would be… tobacco. A Marrano Jew traveling with Columbus was the first European to take a puff of tobacco. Seven years later, smoking had become common in Spain. Zman presents this important and informative article, authored by a highly respected oncologist, that covers not only on the history of smoking, but current information about its medical and halachic aspects (the latter reviewed by our Rabbinic authority). This entry was posted in Uncategorized, Zman Magazine and tagged FDR. 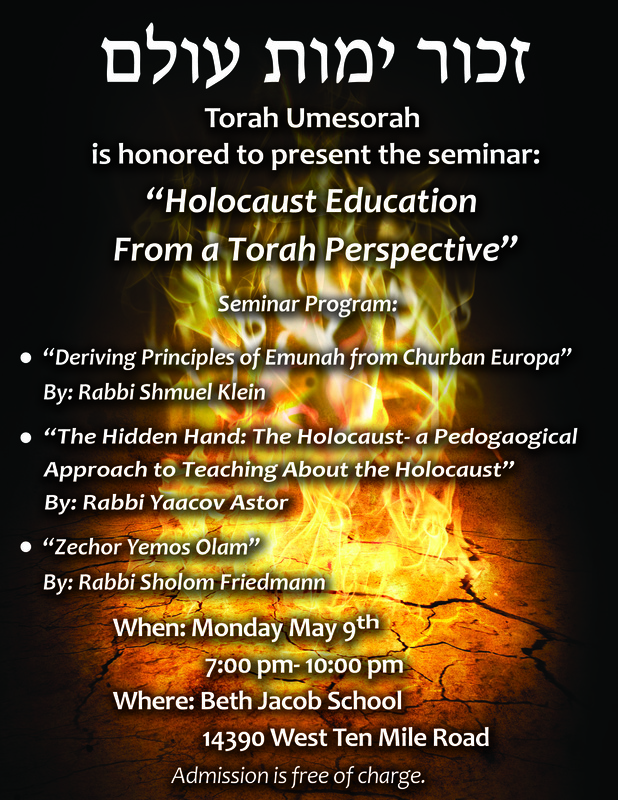 Breckinridge Long, Holocaust, Michoel Ber Weissmandl. This entry was posted in Holocaust and tagged Hidden Hand, Holocaust, speaking, Yaakov Astor.